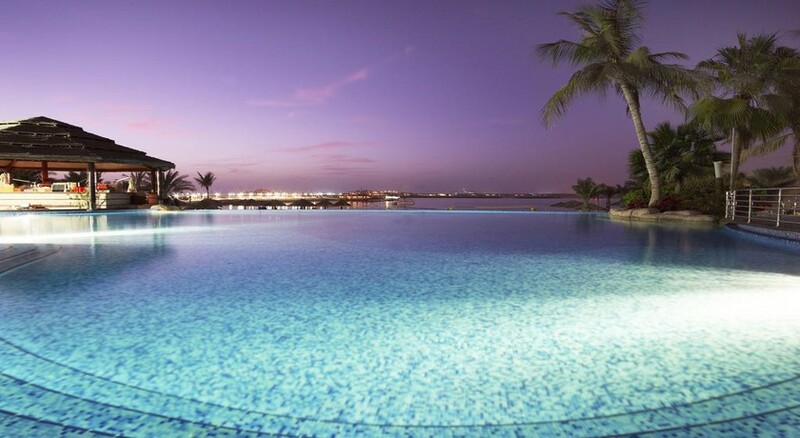 Perfectly situated beside the biggest private sand beach in Dubai, Le Meridien Mina Seyahi Beach Resort & Marina is an iconic destination for all types of travellers for a perfect holiday. Featuring elusive purple accents and a classic chic décor, the 220 suites and rooms in the hotel are designed to stimulate creativity, while providing breath-taking views and exceptional resort facilities to enrich your stay. This 5-star luxury resort features five swimming pools, six restaurants, tennis courts, lush gardens, a private beach and a water sports centre.The hotel promises to delight and surprise every guest’s palate. 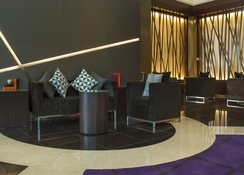 The resort is a 10-minute drive from the Emirates Golf Course, about 10km from the Mall of the Emirates, and 32km from the Dubai International Airport. Le Meridien Mina Seyahi Beach Resort & Marina is just a few minutes away from Dubai’s business district, shopping malls and many cultural attractions. This ultimately makes the resort a perfect exploration base to discover Dubai and its attractions. The Dubai International Airport is about 32km from the hotel on the other hand the Dubai Mall is 21km away. Whether you are a solo traveller, couple, with family or with friends, you will find a room that will suit your tastes and expectations. 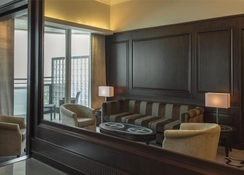 There are five categories of rooms in this hotel namely Deluxe Sea View Room, Club Sea View Room, Club Superior Room, Deluxe Suite and Presidential Suite. 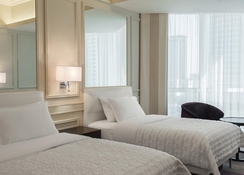 All the Le Meridian rooms offer panoramic views of Dubai's skyline, the Arabian Gulf, are air-conditioned with free Wi-Fi, safety deposit box, and flat screen TV. The hotel has wide-ranging foods and drinks in its five restaurants and two bars that include Fish serving seafood, Gourmet By Kcal serving health cuisine, Latest Recipe serving French brasserie, Barasti Beach Bar serving international cuisine, Buns and Cows serving burgers; bars include Horizon Pool Bar, Latitude 25, and Barasti. These restaurants offer conventional favourites with superior quality organic and natural ingredients that include fresh organic vegetables brought from a local farm. 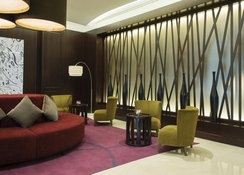 Le Meridien Mina Seyahi Beach Resort & Marina has abundant sports and leisure facilities, making your stay fun-filled. There is a water sports centre, where you can have unlimited fun with your family or hit the well-equipped gym to maintain your fitness level. Younger guests can also have a lot of fun in the Le Meridien Family Kids Club that organizes beach games and activities programs. Additionally, there are two separate pools for kids, where they can have fun in the water under the supervision of the hotel’s staff members.